Who: Ty Segall and the Freedom Band — Mikal Cronin, Charles Moothart, Emmett Kelly, and Ben Boye, offer up a snap shot of their live show. Sound: Live indie punk rock that does not slow down. 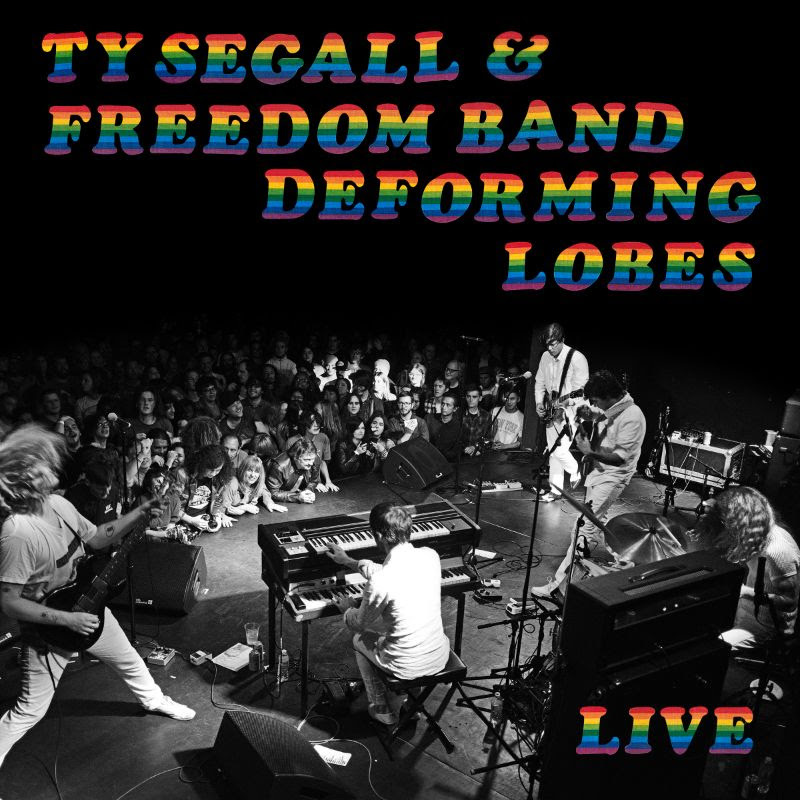 TFN Final Take: Deforming Lobes is a salute to Ty Segall’s excellent song craftsmanship and his electric Freedom Band that he has had primarily together since 2016. The album was recorded and mixed by the one and only Steve Albini so the entire package has a lot going for it. What is great about Deforming Lobes is that it is not so much a Ty highlight record but showcases how tight and talented Mikal Cronin, Charles Moothart, Emmett Kelly, and Ben Boye are as the Freedom Band. What’s funny about this release is that even though it was recorded in January 2018, this record does not even include tracks from Ty’s excellent Freedom’s Goblin (2018) which was released the same month. The album works instead as its bookend to remind you of all the muscle Ty has provided over the years from his previous releases Melted (2010), Emotional Mugger (2016), Twins (2012), Manipulator (2014), $ingle$ 2 (2014) and his self-titled release (2017). Really, once you experience the opening “Warm Hands,” you will know exactly what I am referring to as the song explodes over its 8 minute running time and allows each member of the Freedom Band to revel in a sonic bliss. This ferocity continues throughout the record and with Albini’s help of muting much of the crowd noise, Deforming Lobes roars. For a live record, you might think that the lack of the crowd would detract greatly from the core of the album but this one still takes no prisoners and you may not even realize its more artful blending of selected tracks vs. a straight live experience. Lastly, you can’t walk away from Deforming Lobes without still being amazed about front man Ty Segall. His consistent performance here ensures all a great listen. Even you already have the superb Ty Segall Band – Live In San Francisco (2015) release, this album is a must because it truly captures a different moment that is worth every second. Deforming Lobes puts an exclamation point on why you should definitely catch this group live!